Both Allyn and Catherine are native Floridians and currently reside in Spring Hill, Florida. Catherine's experience starts from childhood because her grandparents exposed her to a world of estates, collectibles, antiques, and auctions. Catherine loves evaluating and appraising antiques and collectibles. She has a desire to help families when they need it the most. She has been helping families with their estate sales for many years and has extensive knowledge of the business. Allyn has experience in antiques, collectibles, and auctions. He enjoys helping families get the most amount of money for their items. He also enjoys setting up full estates sales. Catherine and Allyn make a great team by combining their talents! 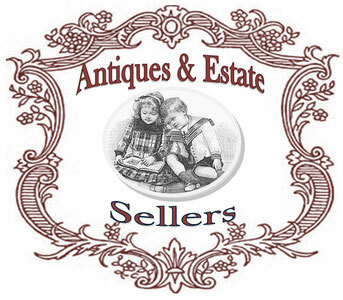 Antiques & Estate Sellers has been using the same staff right from the start without turnover. We love and appreciate our wonderful staff! They assist us in bringing your estate sale to life including, the setup of the sale, working during the estate sale and afterwards for the home cleanup. Antiques & Estate Sellers has a large database of regular customers, which we are truly grateful for and look forward to seeing on a regular basis. If you have any questions about us or our services, please feel contact us at 727-495-6960 (work) or 352-835-1784 (cellular).